Posted on March 22, 2016 by Thomas A. Compter | Comments Off on Game Night! Join us for Game Night! There will be plenty of games to choose from, and at least one featured game of the night, as well as people on hand to teach them. You can also bring your own games to play with new friends! You are welcome to bring snacks and drinks for yourself or to share, but if you don’t want to bother, we do have some snacks and (soft) drinks for sale. $5 / month membership fee covers all the Thursday night Game Nights PLUS the All Day Game Day once a month. Comments Off on Game Night! Posted on January 28, 2019 by admin | Comments Off on Bonus Game Day! Hey! 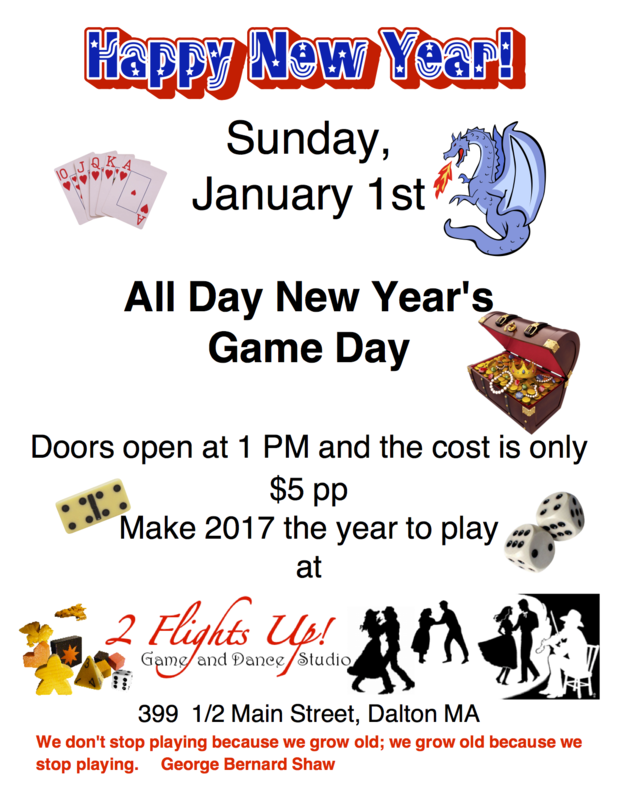 We love gaming so much, and we love our regular gamers so much, we’re having a BONUS Game Day this month! Nothing is scheduled, it’s going to be open gaming, but Thomas has been itching to see Federation Commander on the table again, so if you’re a STAR TREK fan, you don’t want to miss this! There will be plenty of other games played too. Board Games, RPGs, Card Games, Miniatures, we play ’em all at 2 Flights Up! And of course, this is included in your monthly $5 fee! Comments Off on Bonus Game Day! Join us for Game Night! This week only on Wednesday Night! There will be plenty of games to choose from, and at least one featured game of the night, as well as people on hand to teach them. You can also bring your own games to play with new friends! 4 PM to 7 PM Closed for a nap! Posted on April 23, 2016 by Thomas A. Compter | Comments Off on Compter Con is coming! Get ready for the gaming event of the year! May 19th and 21st at 2 Flights Up! Comments Off on Compter Con is coming!